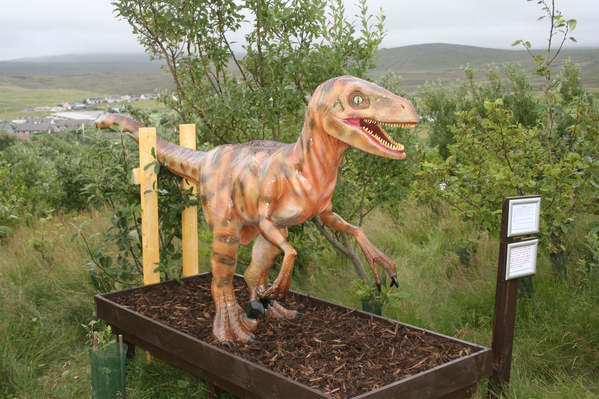 Michaelswood Dinosaur Trail - Fun, Interactive Woodland in Aith, Shetland, in Memory of Michael Ferrie. 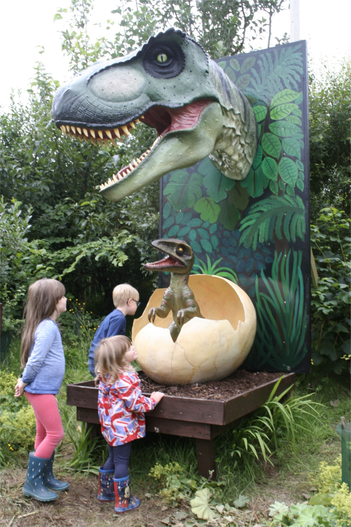 At Site No1: You will find a giant, life-sized head of the Tyrannosaurus, overlooking her nest and the hatching egg of one of her off-spring. Speculate, if you will, how dinosaurs looked after their young, and other features of their life style. 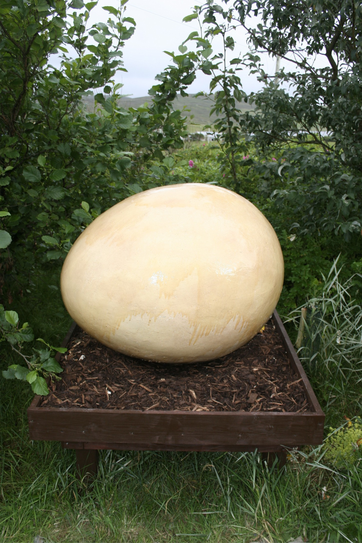 At Site 2: There is a giant dinosaur egg. The question at this site is how did large dinosaurs lay their eggs without breaking them. This question has puzzled some of the most brilliant palaeontologists for many years. 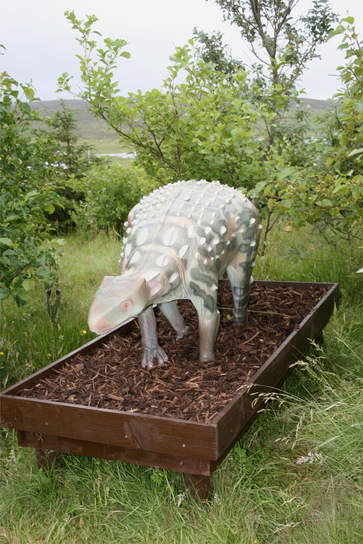 At Site 3: You will encounter the very exotic looking Stegosaurus, with its spiny back to protect it from attack from carnivorous predators. 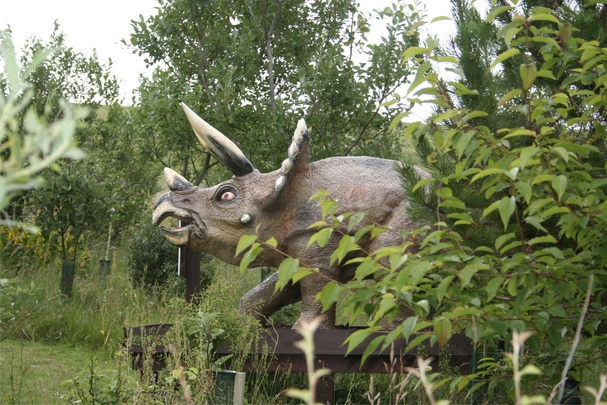 At Site 4: Here stands the impressive three horned Triceratops. A formidable adversary for any predator. 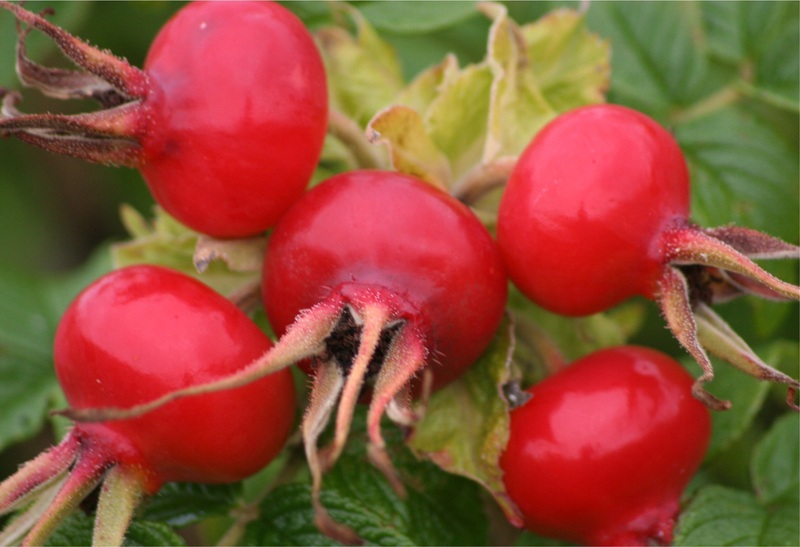 Get up close and personal and marvel at the detail and colour of this specimen. At Site 5: Brontosaurus is next on the trail. 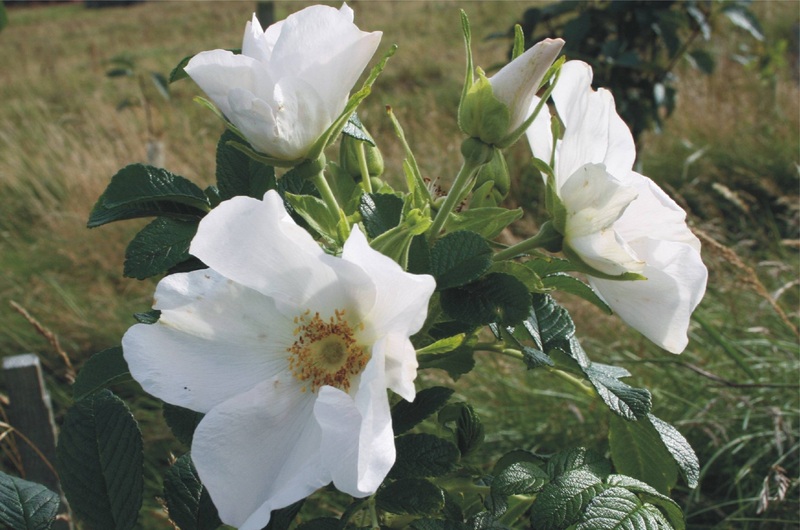 This specimen is just a baby as the adult would have been too large to transport to Shetland. But he is still an impressive sight at around 7 foot tall. Speculate why he has such a long neck. Did he graze on the branches of trees? It’s for you to speculate. At Site 6: Dromaeosaurus is perhaps one of the first aggressors on the trail. A ferocious and swift hunter, whose presence would certainly spoil your day. With speed and agility he would certainly be a fearsome predator. 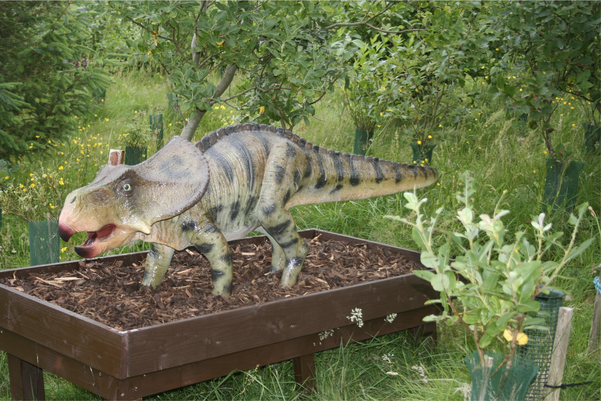 At Site 7: Protoceratops looks a gentle little herbivore, which would have lived his life peacefully and tranquilly grazing low foliage. His high armoured-plated collar around his neck may have given him some protection from fierce predators such as Velociraptor or Dromaeosaurus. Perhaps he was nippy on his legs too and relied on speed to avoid being eaten. At Site 8: Minmi Ankylosaur stands here. A gentle little dinosaur that lived life quietly grazing lush low grasses and foliage. Its hard studded back was its only protection from fierce predators. It is cute and almost cuddly. Spare a thought for the dangerous life such a gentle creature must have endured. 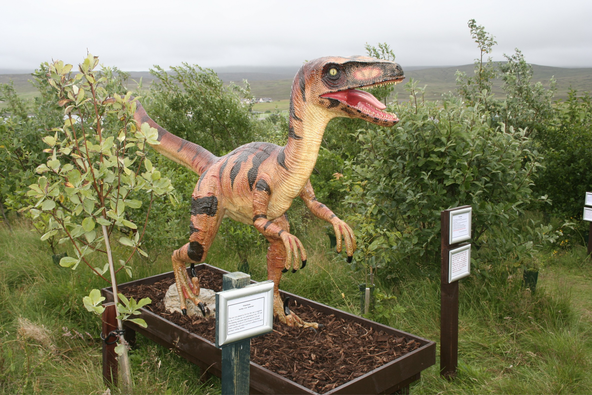 Site 9: You must remember the fearsome Velociraptor from the famous Dinosaur movies. Here he stands ready to pounce upon any unsuspecting prey. Try and imagine how life would have been living alongside such a fearsome creature. Fast, ruthless and deadly! Site 10: Deinonychus (perhaps pronounced “day-non-ee-kus”) was another fierce predator similar in habit to the Velociraptor. See the sharp claws they had on their feet and legs which they used to rip open their prey. These dinosaurs would have been very effective hunters. 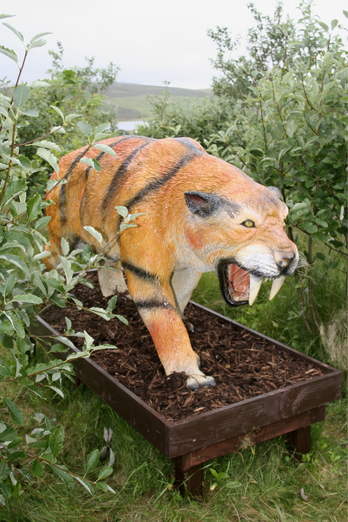 Site 11: A favourite with many children is the Sabre Toothed Tiger. His long very authentic whiskers are so soft to touch, but his teeth are razor sharp. Not a dinosaur of course, the Sabre Toothed Tiger lived much later than the Dinosaurs and was probably hunted by man. 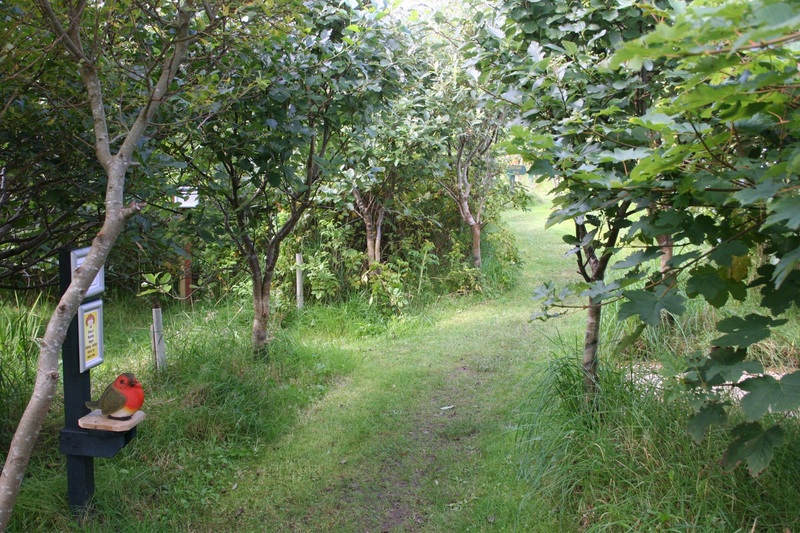 Our Sabre Toothed Tiger is very cuddly and photogenic, and is very much at home among the trees. 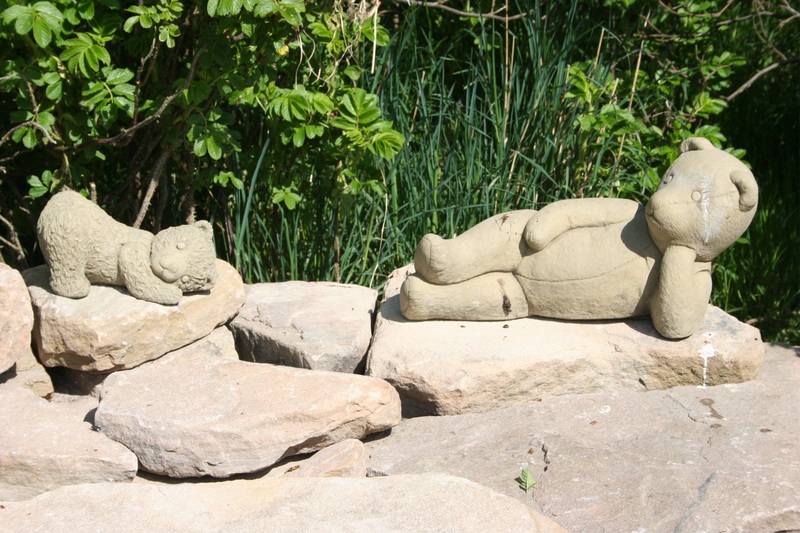 Site 12: This site is not part of the Dinosaur Trail but instead you will find it at the far end of the woodland trail. 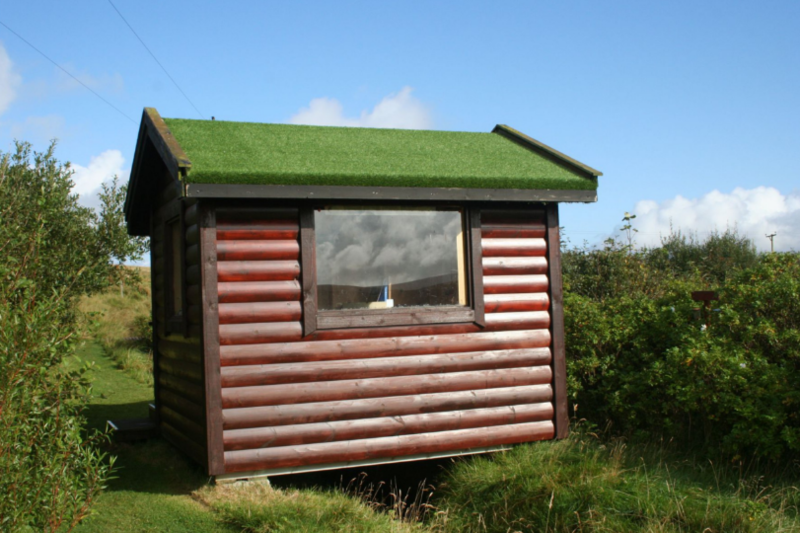 At this site you will find Daisy the cow. Daisy is a milking cow which is lying down, chewing the cud. 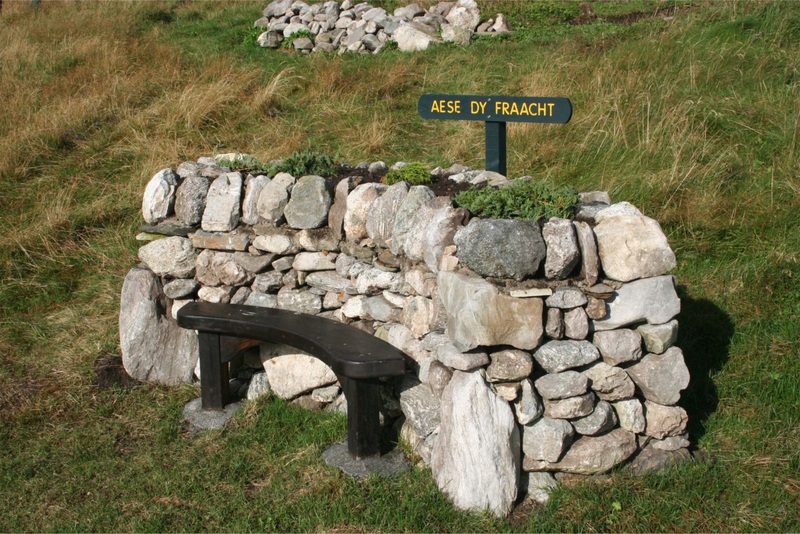 She is so friendly you can sit on her and enjoy the views overlooking the Loch of Vaara and the mystical rocky outcrop called Gurwil. 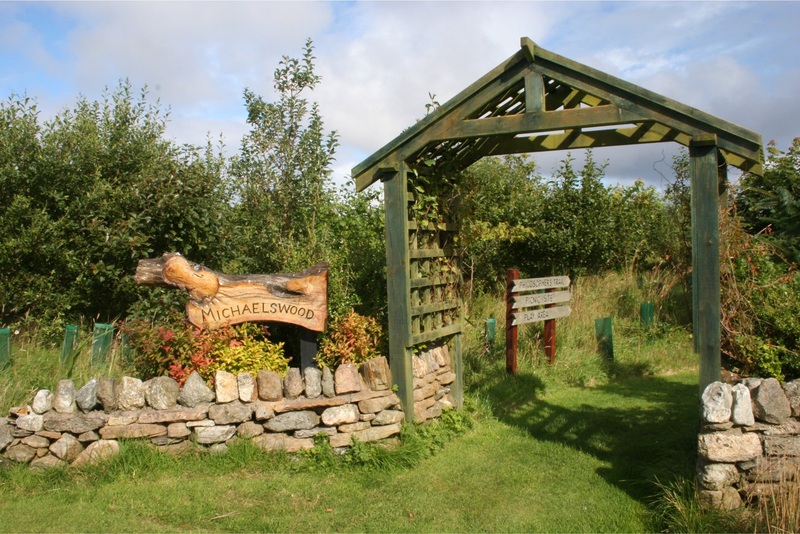 Don’t miss out on an adventurous trip on the Dinosaur Trail at Michaelswood in Aith this year. 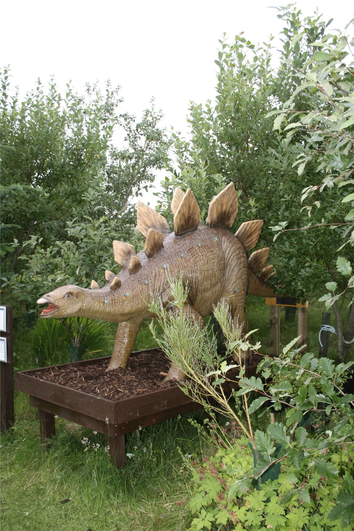 Visitors to Michaelswood can also go prehistoric, when they visit Michaelswood’s new Dinosaur Trail. The trail consists of life-sized dinosaurs living out their Jurassic existence among the trees. 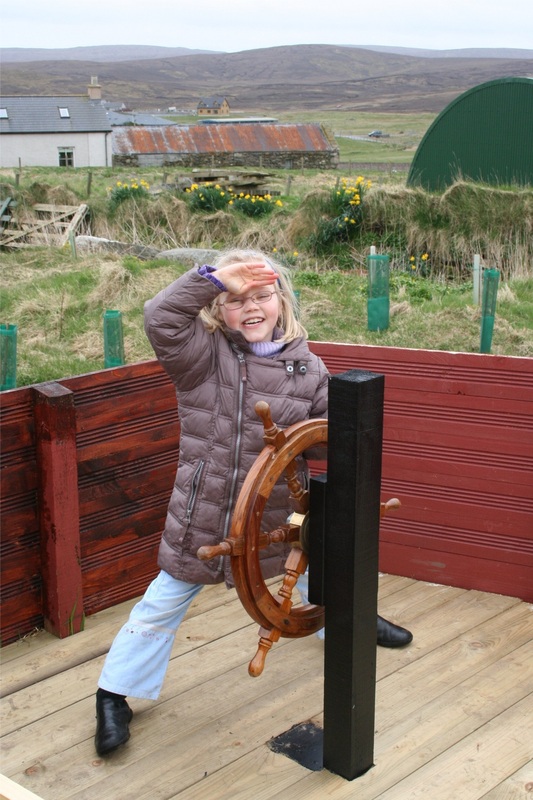 If you’re an academic you can read all about them from storyboards provided by Primary 2 and 3 and Secondary 1 pupils from Aith Junior High School. These school children have researched the dinosaur models and written a very learned dissertation on each model. Learn all about Tyrannosaurus Rex, Stegosaurus, or Velociraptor. 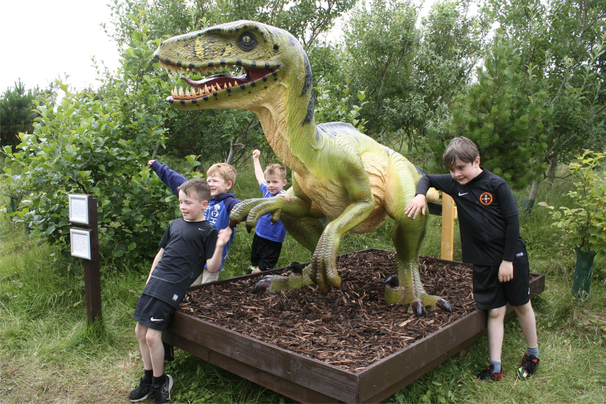 Find out more about the fascinating life of the dinosaur and experience them wild in the woodland. 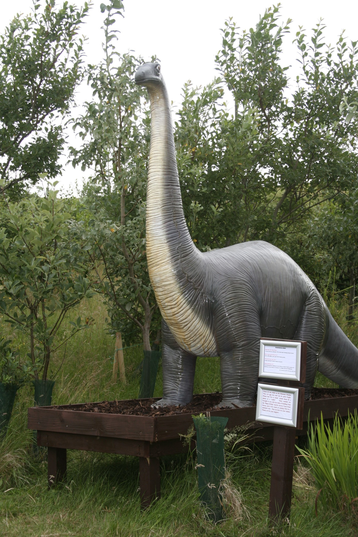 Make a trip to Michaelswood and venture, if you dare, onto the Dinosaur Trail. 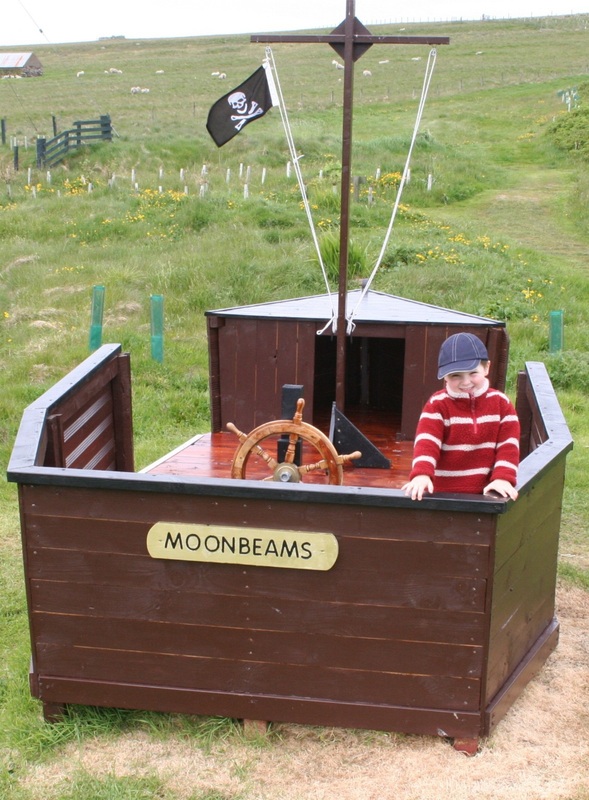 If your children enjoy coming here (and you do too :) PLEASE donate. 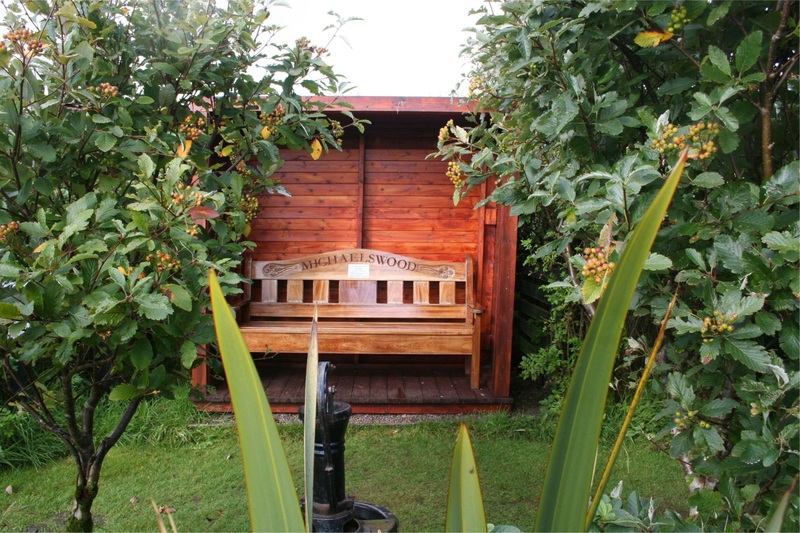 All funds go towards keeping Michaelswood open and as much fun as possible. Every penny helps. Thank you.